Stefan Dickers presents a History of Street Photography in London through the world-renowned collections at the Bishopsgate Institute. The East End of London has played a central role in the development of photography where the social conditions of the area and its people have fascinated generations of photographers in their work. 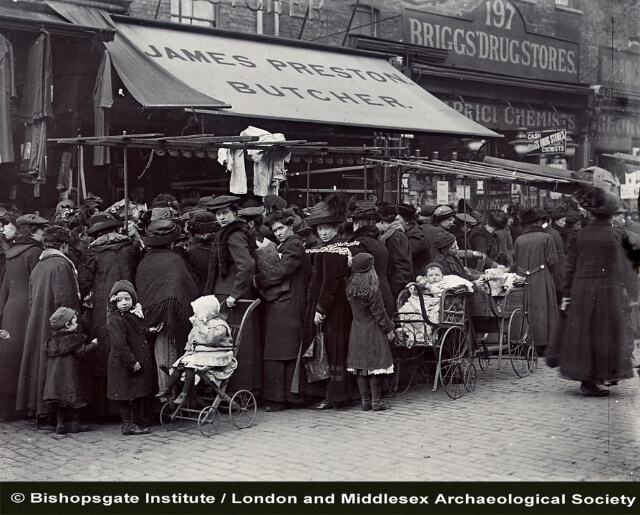 Using the extensive collections on London History held at Bishopsgate Institute, this talk led by Stefan Dickers, Special Collections and Archives Manager, will explore the development of street photography from the 1850s, when fledgling photographers attempted to catch the flourishing docks and shipyards of the Isle of Dogs, to the work of their contemporary counterparts. Stefan Dickers is the Library and Archives Manager at Bishopsgate Institute. He looks after its extensive collection of books, pamphlets, maps, photographs and oral histories on London history, as well as the labour movement, protest, atheism, the co-op and LGBT history.